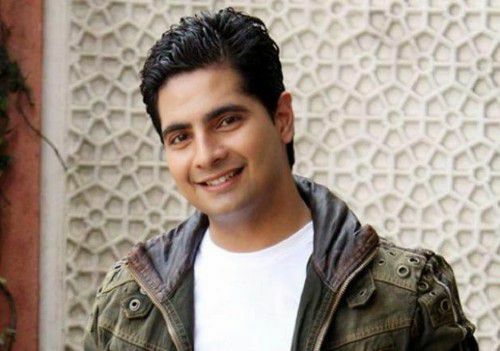 Karan Mehra is one of the most famous actors of Indian television. He is also a model and fashion designer. He became popular as “Naitik Singhania” on one of the most popular and longest running TV serials of India called “Yeh Rishta Kya Kehlata Hai”. Brought up in the city of Delhi, Karan Mehra is the son of Ajay Mehra (who runs a construction business in Delhi). Karan’s mother is a homemaker. Karan had studied Fashion at the National Institute of Fashion Technology, Delhi, and worked as a designer for four years in Noida, before he decided to switch to acting. Karan got married to Nisha Rawal in the year 2012. In the same year, Karan also participated in Nach Baliye 5, the 5th edition of a popular celeb-based dance reality show in India, along with his wife Nisha Rawal. Like Karan, Nisha is also a popular Indian TV actor and model. The couple then went on to participate in 2013 in “Nach Baliye: Shriman vs. Shrimati” as well. After having made up his mind to switch to acting, Karan did an acting course at the Kishore Namit Acting Institute in Mumbai, and also assisted directors like Rajkumar Hirani and Ram Gopal Verma on their films before switching full time to modeling. In 2009, he received the much-awaited break and bagged the role of Naitik in Yeh Rishta Kya Kehlata Hai. The show became an instant hit and is still considered to be one of the most popular TV shows of recent times. Karan was instantly noticed and appreciated by everyone and took the TV industry by a storm with his success. In 2009, he received the “Most Promising Actor (Male)” award from New Talent Awards, “Best Actor – Drama (Popular)” award at the Indian Television Academy Awards, and “Favorite Naya Sadasya” and “Favorite Yogya Jodi” award at Star Parivaar Awards. This was followed by “Best Debutant – Male” at Kalakar Awards in 2010, and the “Best Actor – Critics” award by Zee Gold Awards in the same year. With the show’s success and constantly rising popularity, Karan’s fan following also started increasing. In the years to come, he received many more awards. With Star Parivaar Awards only, Karan managed to get at least one award each year; he received “Favorite Jodi” and “Favorite Pati” in 2011, “Favorite Beta” in 2012, “Favorite Pita” in 2013 and 2014 both, and “Favorite Pati” again in 2015. Other awards include “Best Onscreen Jodi” in 2013 at the Indian Telly Awards, “Favorite Onscreen Jodi” in 2014 at Garv Television Awards, “Popular Choice Award – Male” at Indian Television Academy Awards and “Most Popular Jodi” at Garv Television Awards in 2015, and “Best Onscreen Ongoing Jodi of the year” at GTA, “Best Actor” at Kalakar Awards and “Best Onscreen Jodi” at Zee Gold Awards in 2016. It’s surprising and impressive how Karan has managed to win all these awards consistently for his performance on one show alone. Rumors filled the Internet recently that the reason why Karan Mehra abruptly called it quits on his show Yeh Rishta Kya Kehlata Hai was because of a tiff with the leading lady of the show, Hina Khan. However, just as this news was sinking in, fans got hope as rumors of Karan’s return to the TV screen on Bigg Boss 10 started spreading. Many feel that Karan may have left his daily soap to be a part of the popular non-fiction controversial show, Bigg Boss 10, hosted by none other than Salman Khan. It remains to be seen how much success and popularity the reality show will bring for Karan, as many contestants have been known to show their real and dark side on the show and lose their fans in the process. On the other hand, if Karan is anything like his on-screen avatar as Naitik, then chances are that the audience’s love will only grow for him and he will sail through the show easily, probably broadening his career prospects in the process.